GENERAL RULES RELATING TO CONDUCT: The App is made available for your own, personal use. The App must not be used for any commercial purpose whatsoever or for any illegal or unauthorised purpose. When you use the App you must comply with all applicable Malaysia laws and with any applicable international laws, including the local laws in your country of residence (together referred to as “Applicable Laws”). You agree to indemnify Teaspoon and its group companies in full and on demand from and against any loss, damage, costs or expenses which they suffer or incur directly or indirectly as a result of your use of the App otherwise than in accordance with these Terms or Applicable Laws. CONTENT: The copyright in all material contained on, in, or available through the App including all information, data, text, music, sound, photographs, graphics and video messages, the selection and arrangement thereof, and all source code, software compilations and other material (“Material“) is owned by or licensed to Teaspoon or its group companies. All rights are reserved. You can view, print or download extracts of the Material for your own personal use but you cannot otherwise copy, edit, vary, reproduce, publish, display, distribute, store, transmit, commercially exploit, disseminate in any form whatsoever or use the Material without teaspoon’s express permission. The trademarks, service marks, and logos (“Trade Marks“) contained on or in the App are owned by Asahiarts or its group companies or third party partners of teaspoon. You cannot use, copy, edit, vary, reproduce, publish, display, distribute, store, transmit, commercially exploit or disseminate the Trade Marks without the prior written consent of Teaspoon or the relevant group company or the relevant third party partner of Teaspoon. LINK TO THIRD PARTIES: The App may contain links to websites operated by third parties (“Third Party Websites“). Teaspoon may monetise some of these links through the use of third party affiliate programmes. Notwithstanding such affiliate programmes, Teaspoon does not have any influence or control over any such Third Party Websites and, unless otherwise stated, is not responsible for and does not endorse any Third Party Websites or their availability or contents. DISCLAIMER / LIABILITY: USE OF THE APP IS AT YOUR OWN RISK. THE APP IS PROVIDED ON AN “AS IS” BASIS. TO THE MAXIMUM EXTENT PERMITTED BY LAW: (A) TEASPOON DISCLAIMS ALL LIABILITY WHATSOEVER, WHETHER ARISING IN CONTRACT, TORT (INCLUDING NEGLIGENCE) OR OTHERWISE IN RELATION TO THE APP; AND (B) ALL IMPLIED WARRANTIES, TERMS AND CONDITIONS RELATING TO THE APP (WHETHER IMPLIED BY STATUE, COMMON LAW OR OTHERWISE), INCLUDING (WITHOUT LIMITATION) ANY WARRANTY, TERM OR CONDITION AS TO ACCURACY, COMPLETENESS, SATISFACTORY QUALITY, PERFORMANCE, FITNESS FOR PURPOSE OR ANY SPECIAL PURPOSE, AVAILABILITY, NON INFRINGEMENT, INFORMATION ACCURACY, INTEROPERABILITY, QUIET ENJOYMENT AND TITLE ARE, AS BETWEEN TEASPOON AND YOU, HEREBY EXCLUDED. IN PARTICULAR, BUT WITHOUT PREJUDICE TO THE FOREGOING, WE ACCEPT NO RESPONSIBILITY FOR ANY TECHNICAL FAILURE OF THE INTERNET AND/OR THE APP; OR ANY DAMAGE OR INJURY TO USERS OR THEIR EQUIPMENT AS A RESULT OF OR RELATING TO THEIR USE OF THE APP. YOUR STATUTORY RIGHTS ARE NOT AFFECTED.Teaspoon will not be liable, in contract, tort (including, without limitation, negligence), under statute or otherwise, as a result of or in connection with the App, for any: (i) economic loss (including, without limitation, loss of revenues, profits, contracts, business or anticipated savings); or (ii) loss of goodwill or reputation; or (iii) special or indirect or consequential loss. Teaspoon will not be liable, in contract, tort (including, without limitation, negligence), under statute or otherwise, as a result of or in connection with the App, for any: (i) economic loss (including, without limitation, loss of revenues, profits, contracts, business or anticipated savings); or (ii) loss of goodwill or reputation; or (iii) special or indirect or consequential loss. SERVICE SUSPENSION: Teaspoon reserves the right to suspend or cease providing any services relating to the apps published by it, with or without notice, and shall have no liability or responsibility to you in any manner whatsoever if it chooses to do so. ADVERTISERS IN THE APP: We accept no responsibility for adverts contained within the App. If you agree to purchase goods and/or services from any third party who advertises in the App, you do so at your own risk. The advertiser, not Teaspoon, is responsible for such goods and/or services and if you have any queries or complaints in relation to them, your only recourse is against the advertiser. COMPETITIONS: If you take part in any competition which is run in or through the App (“Competition“), you agree to be bound by the rules of that competition and any other rules specified by Teaspoon from time to time (“Competition Rules“) and by the decisions of Teaspoon, which are final in all matters relating to the Competition. Teaspoon reserves the right to disqualify any entrant and/or winner in its absolute discretion without notice in accordance with the Competition Rules. 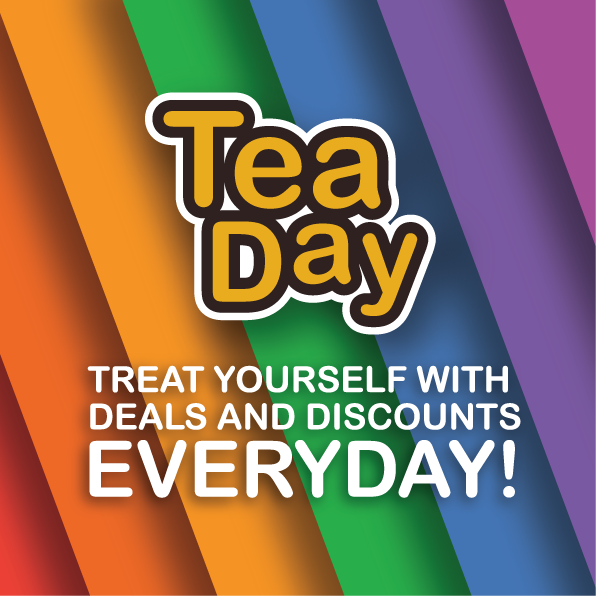 IN-APP VOUCHER CODES: Any in-app voucher codes issued by Teaspoon may only be used in accordance with our Terms and Conditions for in-app voucher codes. GENERAL: These Terms (as amended from time to time) constitute the entire agreement between you and Teaspoon concerning your use of the App. Teaspoon reserves the right to update these Terms from time to time. If it does so, the updated version will be effective immediately, and the current Terms are available through a link in the App to this page. You are responsible for regularly reviewing these Terms so that you are aware of any changes to them and you will be bound by the new policy upon your continued use of the App. No other variation to these Terms shall be effective unless in writing and signed by an authorised representative on behalf of Teaspoon. These Terms shall be governed by and construed in accordance with Malaysia law and you agree to submit to the exclusive jurisdiction of the Malaysia Courts. If any provision(s) of these Terms is held by a court of competent jurisdiction to be invalid or unenforceable, then such provision(s) shall be construed, as nearly as possible, to reflect the intentions of the parties (as reflected in the provision(s)) and all other provisions shall remain in full force and effect. Teaspoon’s failure to exercise or enforce any right or provision of these Terms shall not constitute a waiver of such right or provision unless acknowledged and agreed to by Teaspoon in writing. Unless otherwise expressly stated, nothing in the Terms shall create any rights or any other benefits whether pursuant to the Contracts (Rights of Third Parties) Act 1999 or otherwise in favour of any person other than you, Teaspoon and its group of companies. By using Teaspoon’s website(s) and/or the Teaspoon Services, you agree to (i) the terms and conditions set out in this Policy including the types of your personal data that may be collected by us; (ii) the manner in which your personal data shall be collected, stored, transmitted, used or disclosed; and (iii) that the collection, use or disclosure of your personal data in the manner stated in this Policy are for purposes that a reasonable person would consider appropriate in the circumstances. Our primary purpose in collecting personal information is to provide you with an efficient and customized experience. This allows us to provide services and features that are more likely to meet your personal interests and needs. We collect personal information about you that we consider necessary for achieving this purpose. We will not sell or disclose your personal information to third parties without your explicit consent. Registration Information: We collect personal information when you register and create an account to use the Teaspoon Services. 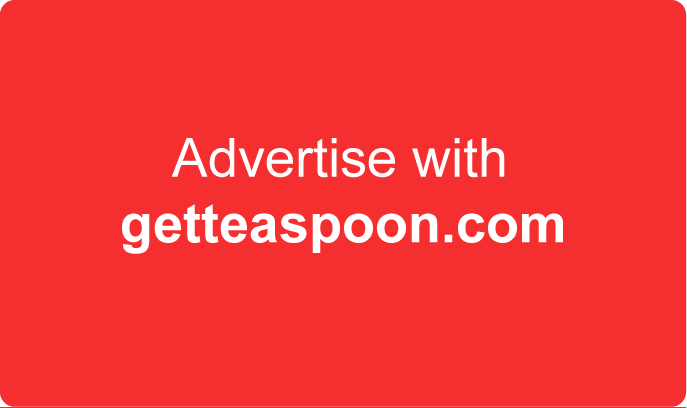 We use this information to contact you about Teaspoon’s website(s), the Teaspoon Services, your account and products and services in which you have expressed or display an interest. If you wish to subscribe to our newsletter(s) and/or promotional email, we will use your name and email to send the newsletter(s) and/or email to you. We will provide you a way to unsubscribe in all messages. Marketing and Other Promotional Material: We may also collect personal information about you if you provide such information in response to any marketing or promotional material, if you respond to our marketing or customer service officers or interact with any of our representatives, if you respond to any surveys, if you agree to be included in any marketing email or newsletters, or when you submit your personal data in any other situation. Browsing Information: We automatically receive and record information on our server logs from your browser, including your device’s IP address, cookies and the pages you view. This information may be used to further customize your experience on Teaspoon website(s) or the Teaspoon Services or to bring products or services which may be of interest to you to your attention. Cookies & Clear Gifs (Web Beacons/Web Bugs): We use technology such as cookies and clear gifs (also referred to as web beacons or web bugs) to help us manage content on Teaspoon’ website(s) and the Teaspoon Services by helping us keep track of the effectiveness of content. We use these tools for a number of purposes, including to help you access your information when you "sign in"; keep track of preferences you specify while you are using the Services; display product offerings; estimate and report our total audience size and traffic; and conduct research to improve our content and the Services. We store the information we collect using log files and clear gifs to create a profile of your preferences. We may associate your personally identifiable information, and your purchasing history, to information in your profile, in order to provide tailored promotions and market offers and/or to improve the content of the site for you. We do not share your profile with third parties. Posts & Correspondence: From time to time, we may provide you with the ability to post messages in a public forum, review a product or leave feedback for us. If you choose to use any of these functionalities, we will collect the information you post. We retain such information for internal analysis, resolve disputes, provide customer support and troubleshoot problems. If you send us personal correspondence, such as email, we may collect such information into a file specific to you. We may associate such information with other information in your profile, and store such information in order to provide tailored promotions and market offers and/or to improve the content of the site for you. “Bookmark(s)” and preferences: From time to time we may provide you with the opportunity to create “bookmark” and to indicate your preferences. If you choose to use any of these functionalities, we will collect the information you post. We may associate such information with other information in your profile, and store such information in order to provide tailored promotions and market offers and/or to improve the content of the site for you. Third Party Personal Information Provided by You: From time to time we may provide you with the opportunity to tell a friend about us and you may choose to provide your friend’s name and email for this purpose. By doing so, you represent and warrant that you have your friend’s consent to do so, and that your friend has consented to such personal data being used in accordance with this Policy. Third Party Services Providers: We may disclose your personally identifiable information to third party service providers that we use to provide Teaspoon website(s) and/or the Teaspoon Services to you. We retain the right to disclose non-personally identifiable information at our discretion. Disclosure for Legal Purposes: We reserve the right to disclose your personally identifiable information as required by law and when we believe that disclosure is necessary to protect our rights; to comply with a judicial proceeding, court order, or legal process served on us; or in connection with an actual or proposed corporate transaction or insolvency proceeding involving all or part of the business or asset to which the information pertains. We may provide a functionality that allows you to connect with social networking websites. We work with these sites’ application protocol interface (also known as developer API) to allow you to authorize us to access your account on such sites on your behalf. In order to provide this authorization, you will need to log-in to such sites directly through the Teaspoon Services. When authorized by you, such sites may recognize us when we ask, on your behalf, for access to your account information or to post information. For example, when you click “Like”, we will post the applicable information to your social network account. You can revoke our access to any such sites at any time by amending the appropriate settings from within your account settings on the applicable site. If your personal data changes or is incorrect, or you no longer wish to use Teaspoon’s website(s) and/or the Teaspoon Services, you may correct, update, delete or deactivate your account by making the change to your account settings, or by emailing our Data Protection Officer at [email protected] You may also contact us in the aforementioned ways to request for: (a) some or all of the personal data relating to you that are in our possession or control; and (b) information about the ways the personal data has been or may have been used or disclosed by us within a year before the date of your request. We review the personal data we hold on a regular basis to determine if the data is still needed for the purposes it was collected. The security of your personal information is important to us. We follow or require our service provider(s) to use generally accepted industry standards to protect the personal information submitted to us, both during transmission and once we receive it. However, no method of transmission over the internet, or method of electronic storage, can be 100% secure. Therefore, while we strive to use commercially acceptable means to protect your personal information, we cannot guarantee its security. 版权所有 © 2019年 使用条款 .